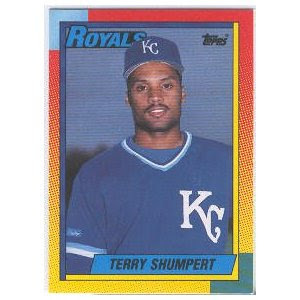 Today's honorary bat boy is Terry Shumpert. Yankees 4, Twins 3. Maybe this Jorge Posada-to-DH thing is going to work out. Posada homered again - his third in four games - and Alex Rodriguez also hit a two-run home run in the Yanks' third win in four games. Rookie Ivan Nova, who won the No. 4 spot in the rotation, allowed three runs in six effective innings. Meanwhile, No. 1 and No. 2 hitters Brett Gardner and Derek Jeter have not been notified that the 2011 season has begun (0-for-7 Monday, 4-for-25 in four games). Pirates 4, Cardinals 3. Pittsburgh: 3-1.
the best start for the franchise since a 7-0 start in 1996, which culminated in a 3-1 loss to the eventual world champion Yankees in the division series (great excuse to mention the '96 Yankees). Braves 2, Brewers 1. Someone named Brandon Beachy struck out seven and allowed a run and four hits in six innings for the 3-1 Braves, while the Ueckers got Rickie Weeks' third home run in four games, but nothing else.